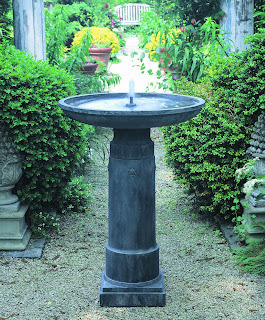 I'm thinking about taking the plunge and adding a small cast stone fountain to my city garden this month. With so many options out there, I decided to ask our friends at Campania International to put together a few simple tips to help me choose my perfect fountain. The most important consideration to keep in mind when selecting the right fountain is the overall style of your home and garden. Whether you have an urban, contemporary or country garden, the fountain should be compatible with your personal style and the aesthetics of your house and garden. 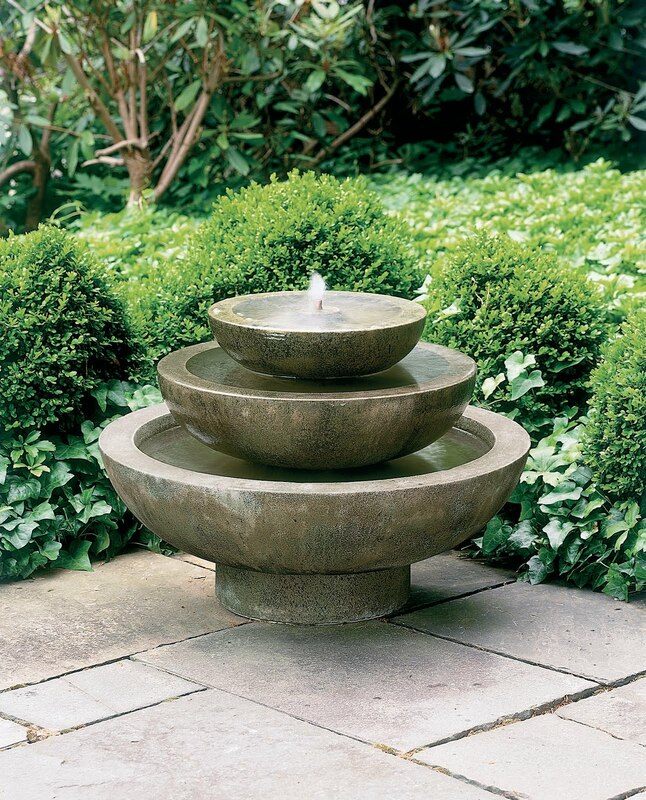 Whether on a patio or in the landscape, a free-standing fountain can be a mesmerizing focal point. The size of the fountain that you choose will depend on the size of your garden space. 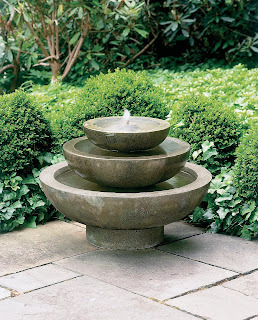 Although fountains can take center stage in the landscape, you might also consider nestling your fountain in a secluded corner of your garden. Tucked away among the plantings, the fountain will not distract from the overall composition. What’s Your Desired Outcome? Dramatic or Zen? If creating a highly dramatic effect is your desire, the classic choice is a larger two- or three-tiered fountain as a focal point for your landscape. If you want something Zen, look for a more soothing effect in water gently cascading over a cast stone ball. For dramatic night-time illumination, look for freestanding wall fountains with lighting components. I'll be sure to keep you posted on my selection. In the meantime, check out Campania's website to get inspired --campaniainternational.com.